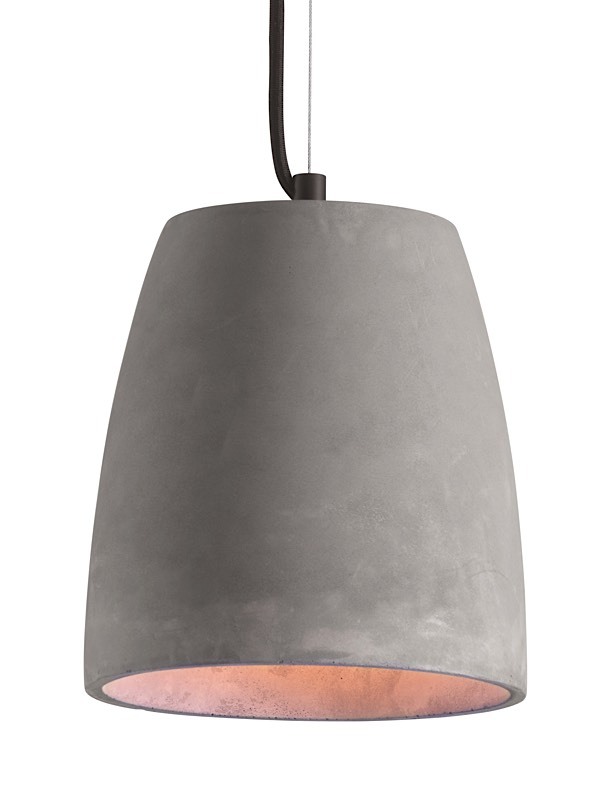 The Fortune Ceiling Lamp is made of light-weight faux concrete in a sleek pint-sized shape. 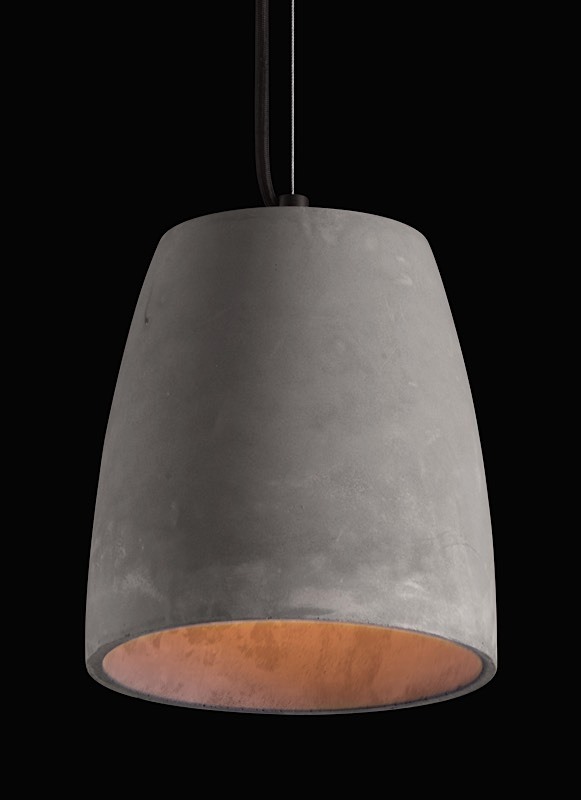 The faux concrete finish is in a warm grey tone outside and inside of shade. 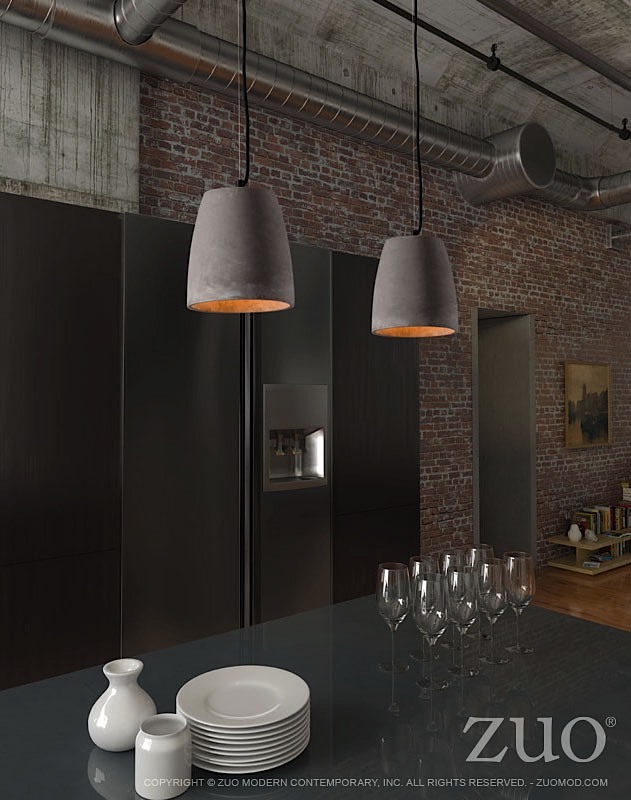 Install alone for a industrial look for kitchen or bar areas or hang several in restaurants. 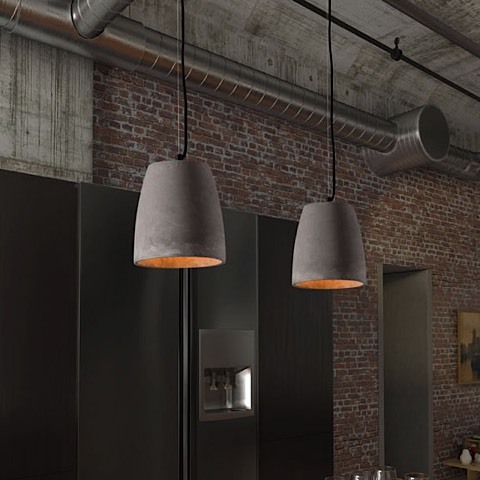 Suspended wire with black mounting fixture and finished with black electrical cord. 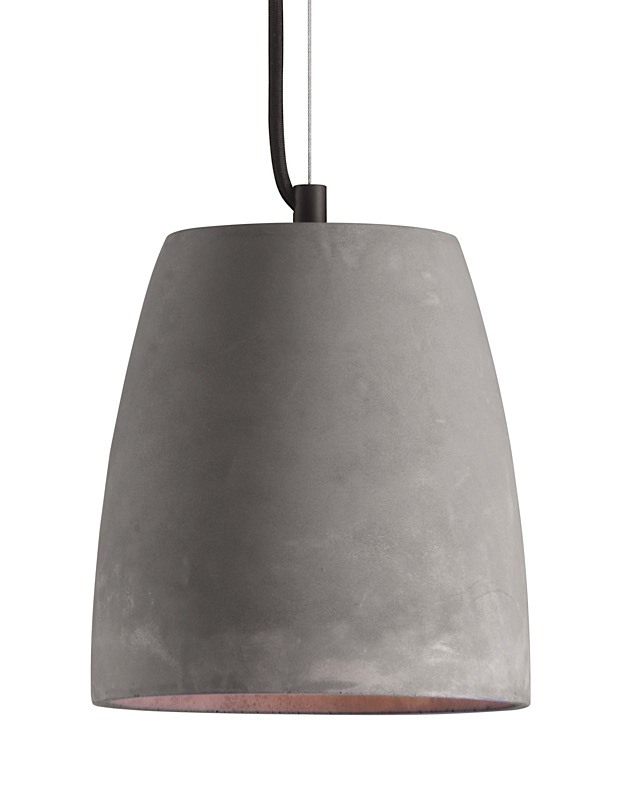 Fortune requires one (1) 60 watt max Type A19 bulb with an E26 socket size which is not included with the lamp. 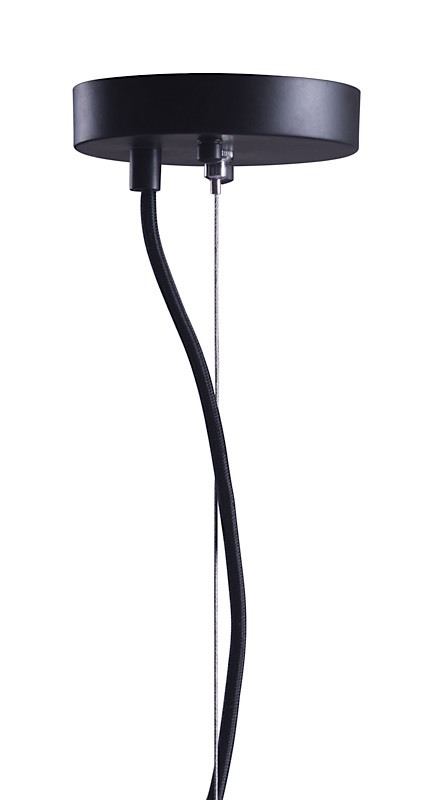 The lamp has a cord length of 118".